ConceptDraw DIAGRAM diagramming and vector drawing software extended with Seating Plans solution from the Building Plans area of ConceptDraw Solution Park is the best for quick and easy drawing the seating arrangement plans. 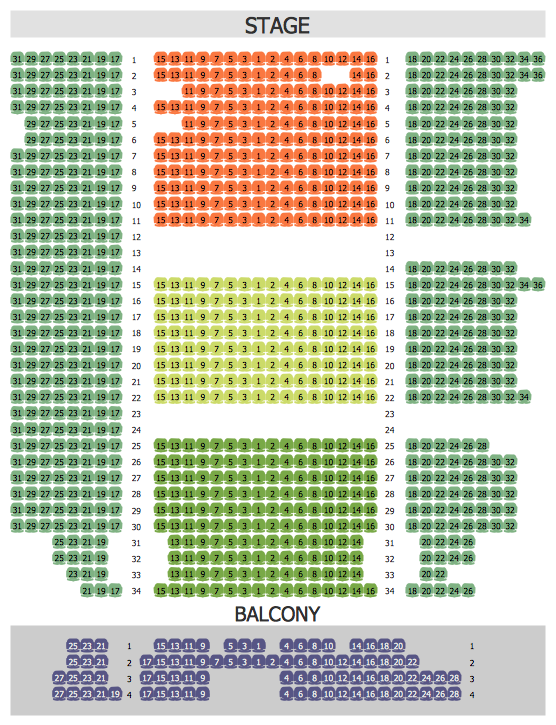 Seating Plans Solution provides extensive drawing tools, Seat Blocks Library with numerous ready-to-use design elements and set of samples which will help you create your own professional looking seating arrangement plan in minutes. 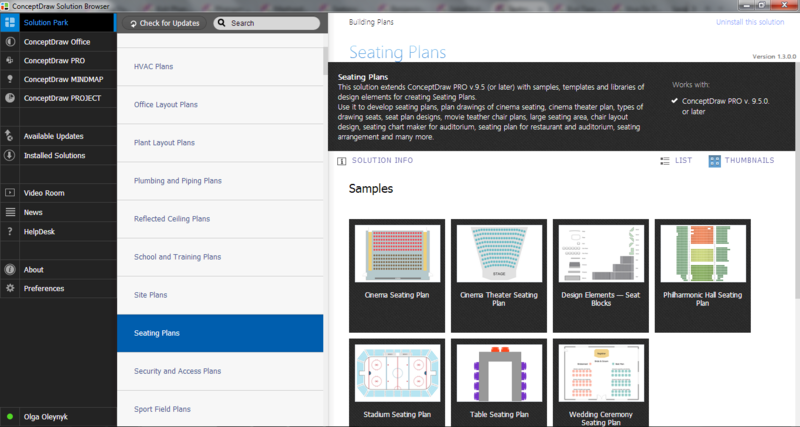 Seating Plans Solution includes also wide set of predesigned samples which you can find and open for editing from ConceptDraw STORE. You don't need to be an artist to draw professional looking charts in a few minutes. Great number of predesigned templates and samples give you the good start for your own plans. 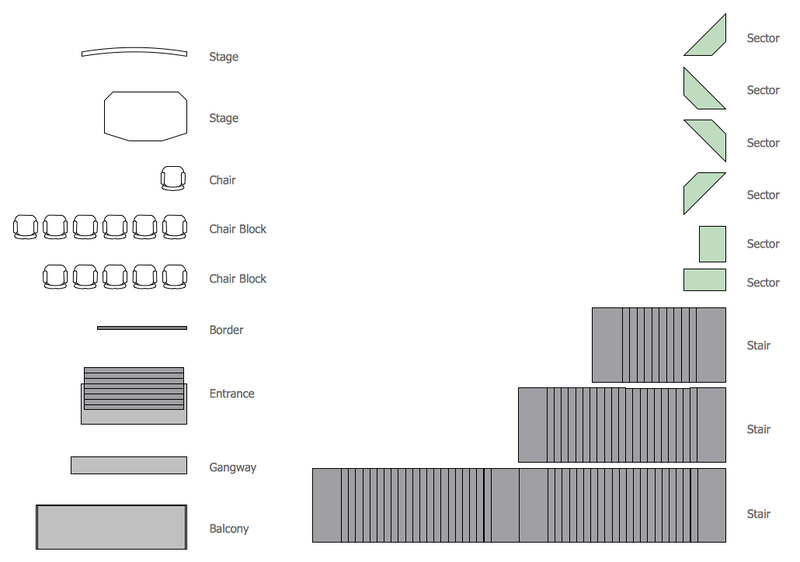 Make the plans of bleachers, grandstands and seating with seating plan design elements.